A few thoughts by John Nalivka: Sustainable beef – unintended consequences? Do you have a sustainable ranch? That might seem like a dumb question to many of you, particularly if you are operating a ranch that has been the family for fifty, seventy, or even a hundred years. I bet most of you would say, of course we have a sustainable ranch. We been in business for however many years and we have made it through low cattle prices, drought, and who knows what else! But, over the long haul, we made money and stayed in business. By definition, your ranch is sustainable. You are long-term profitable. Sustainability is a concept that embodies the very essence of your livelihood. Do you think you should have the final word on this topic? How often have you had to live with the unanticipated effect of a political decision, a new law or a regulation? How often have you asked yourself, how on earth did this happen? I would suspect you have a long list and many of those regulations involved a government agency. I prescribe to the “principle of unintended consequences.” We have all made decisions at one time or another that the end result didn’t turn out as expected. There were unintended consequences. 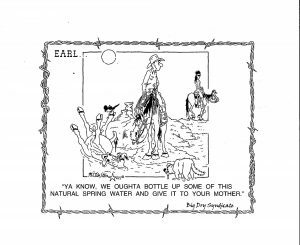 Often times, decisions concerning work on the ranch have unintended consequences. With experience, decisions take into account various factors that may lead to problems and the unintended consequences are hopefully minimized. So, you say sustainability won’t fall prey to this principle of unintended consequences. It’s all about consumer demand and doing the right thing in their eyes. Maybe so, but aren’t you already managing your ranching operation to optimize grazing and water resources (the environment) to produce a quality, safe product (beef), in order to be profitable (sound economics)? 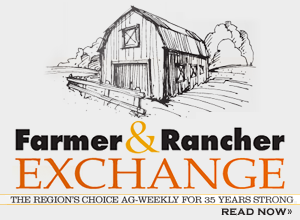 I think if the answer is yes and I believe, most ranchers would say yes, then why do you need a set of protocol defined and overseen by a committee? You built the ranch, not some committee! 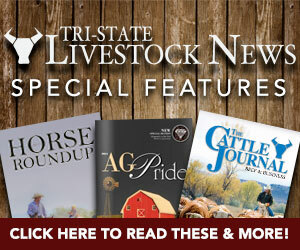 So, do you have a sustainable beef cattle operation? If you have the good fortune of still having your grandparents with you, ask them if they think the ranch is sustainable. For good or bad, your ranching business and your livelihood will be directly affected by the ongoing sustainability dialogue. The dialogue is okay, but will YOU be able to live with the unintended consequences? The question is: what is the end game, who will benefit and who will pay the cost?